California Gov. 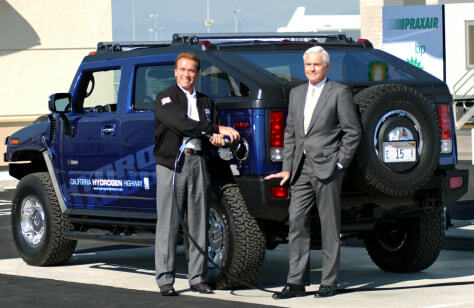 Arnold Schwarzenegger tops off the first Hydrogen Hummer at the dedication Friday of a hydrogen fueling station at Los Angeles International Airport. At right is GM Vice Chairman Bob Lutz.